While Māori customary rights to dry land were recognised by European settlers and governments, their rights to the foreshore and seabed were not. 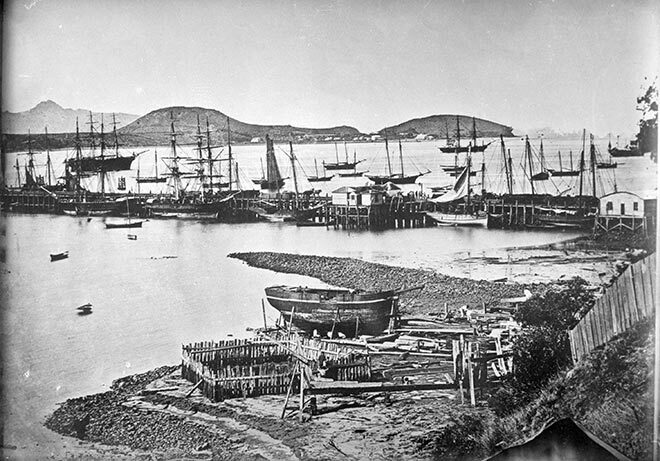 Settlers proceeded to develop the foreshore for wharves, as here in Auckland, without attention to Māori traditional use of the shore. This view is from Albert and Hobson streets, looking north to Mt Victoria.